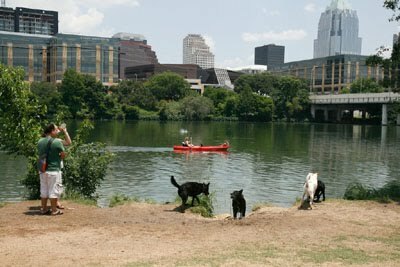 Two Austin City Council members proposed an ordinance chance to allow dogs on patio restaurants. Freshmen council members Jennifer Kim and Lee Leffingwell announced their proposal to change the city's restaurant code at a press conference on Friday. It would give restaurants the option to allow dogs on patios. The city council will consider the amendment at next week's council meeting. Kim said it's partly a response to restaurants that were taking extreme measures to let dogs in.